6:45 - 7:30 pm: Newcomer Class (RM B)6:45 - 7:30 pm: Intermediate Class (RM A)7:30 - 10:30 pm: West Coast Social Dance $20 Per Class$30 Per Couple$15 for Seniors (55+)$10 for College Students (with ID)Free with Studio Membership!Ask the Front Desk about our Group Class Passes! Get discounts on our classes when purchasing in bulk! 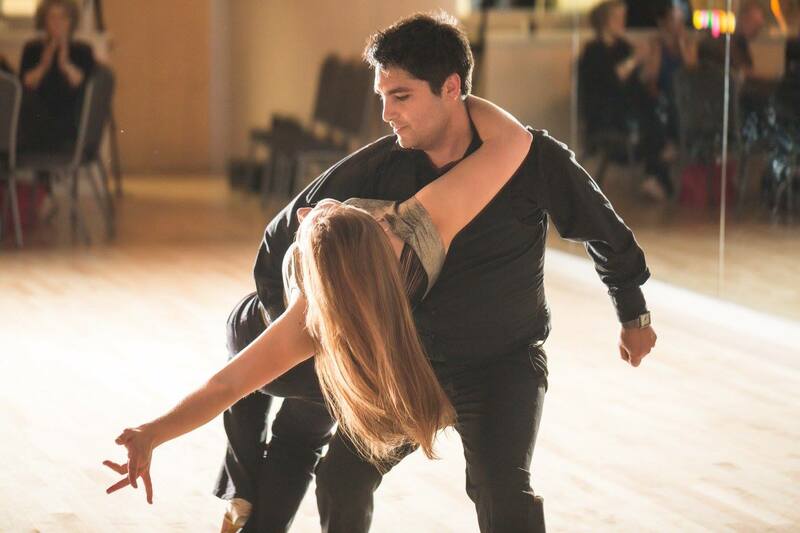 Join Zach Morrison and Rachel Moran for a 8 week series in Californias State Dance: West coast Swing! Don’t forget to ask about our monthly unlimited group class membership, Prepaid Group Class Passes, and private lessons.